← How to set color depth when convert EMF to GIF? How to print doc to bitmap image? Do you know how to print doc to bitmap image? Maybe there are many ways to make it. But in order to improve office workers’ efficiency, I would like to tell you my method to print doc to bitmap image. There is a proverb: “The first step is as good as half over.” It means that choose the right tool can save your time and energy. Today I will recommend a very useful tool to you. That is the docPrint Document Converter Professional V5.0, which not only can convert many kinds of format files, but also has a virtual printer the docPrint PDF Driver. This virtual printer can print doc to bitmap image. The operation is very simple and quick; it will not take a lot of time to read it. Therefore, just pay attention to my article, I am sure that you can easily master this function, after you reading my article. <1>, download and install this software. Do remember to extract it after the download is completed, for it is the zip package. Then unzip it. Install it in your computer for the further use. There are two choices for you; one is that you can use the trivial version by free. Another is that you can purchase it and register it. <2> choose the right type and save the change. ①. 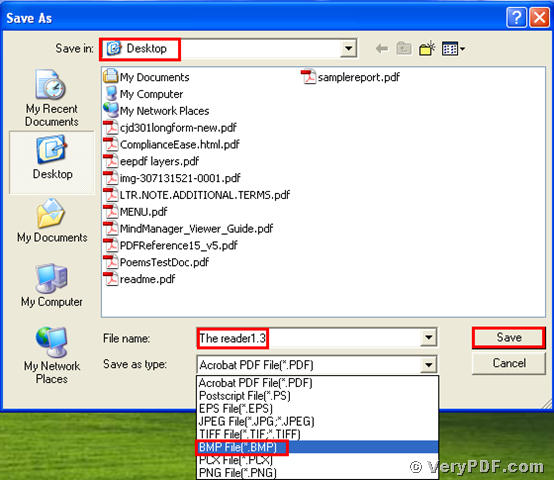 Please look at picture 1, open your file (The reader.doc), and click “File” >find “Print”>click “Print”. 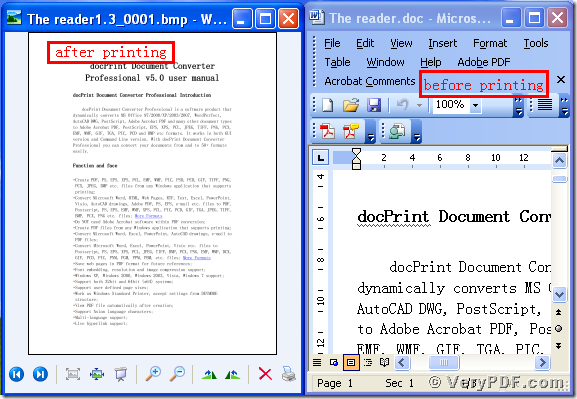 Then it will pop up the dialogue “Print”, select “docPrint Driver”> click the button “ok”. ②. Please look at picture 2, after you click the button “ok”, it will pup up a dialogue “Save As”. 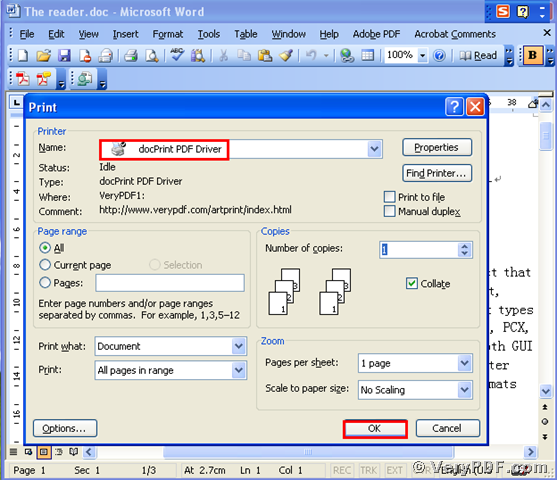 Choose the type “BMP” > input the file name “The reader1.3” in the blank>save the change. <3> check out the effect. Please look at the picture 3, we separately open the before and after Printing files, and compare them, you will find that we had already printed doc to bitmap image. How to convert Excel to TGA image? How to convert MS Office Word documents of doc to gif? How to convert MS Office Excel documents of XLS to EPI? This entry was posted in docPrint Pro and tagged doc to bitmap image, docPrint. Bookmark the permalink.